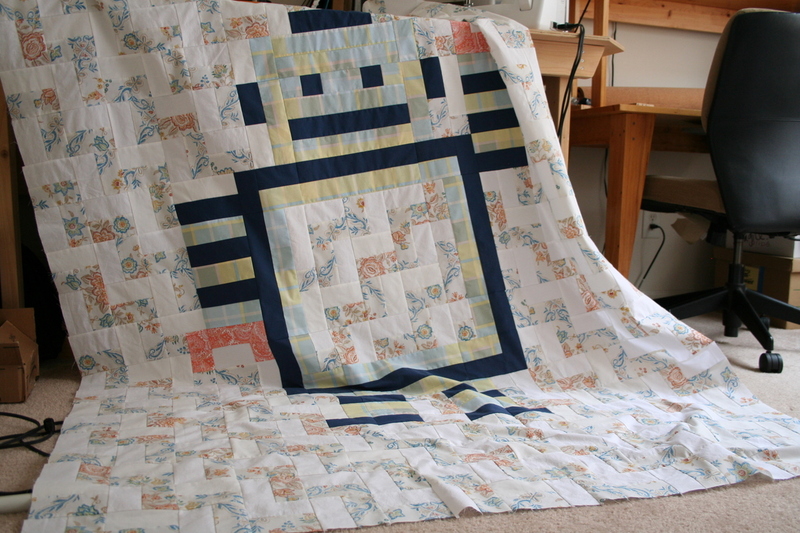 ← My First Quilt has a face! My First Quilt: finished quilt top! Yay! Now for the next step – basting and quilting the quilt. First I have to figure out where to buy batting, though. And what fabric I want to use for the back. I have a feeling this is going to be the part of the process where I stall and get distracted by other projects, especially now that spring has sprung in Atlanta (hello, allergies! ), and the weather when a quilt is appreciated is quickly vanishing. One Response to My First Quilt: finished quilt top!